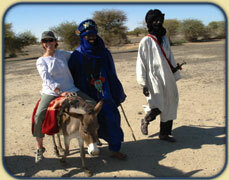 When Linda Simon visited Mali, West Africa in January 2010 she had the honor of meeting with the Tuareg, a nomadic people roaming the Sahara Desert. Learning that this ancient yet vibrant culture is facing extinction, Linda was moved to take action. Upon her return to the States, she founded FACES to respond to the needs of marginalized communities worldwide. After 5 years of tremendous work and great accomplishments Linda passed the torch to George Tirado, who has recently returned from India where he spend some time visiting the remotes and almost forgotten areas by the Modern world. George has dedicated his life to put a smile on the people around him by volunteering in several humanitarian missions around the world. 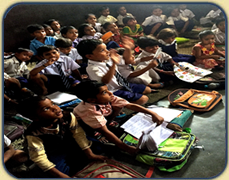 These days FACES is more than ever committed to help on the Education and health areas in those villages. One of our primary goals is to focus the world’s attention on these vanishing cultures. We can affect social and political change to improve their quality of life by just taking personal interest for those in serious needs. FACES works closely with communities to identify their needs, whether it’s a school, a well or medical clinic and then develops a strategy to meet these needs with the help of our network of global partners and local leaders. Right now we are focusing our efforts to build a school, sponsor a student in India and, build a Medical clinic in Mali. Diseases continue to hinder economic independence and destroy thousands of lives. FACES conducts workshops on HIV/AIDS and other communicable diseases, and provides medical personnel and supplies to remote locations often overlooked by other organizations. FACES counts on YOU to help fund these critical projects to improve quality of life and preserve these cultures facing extinction.